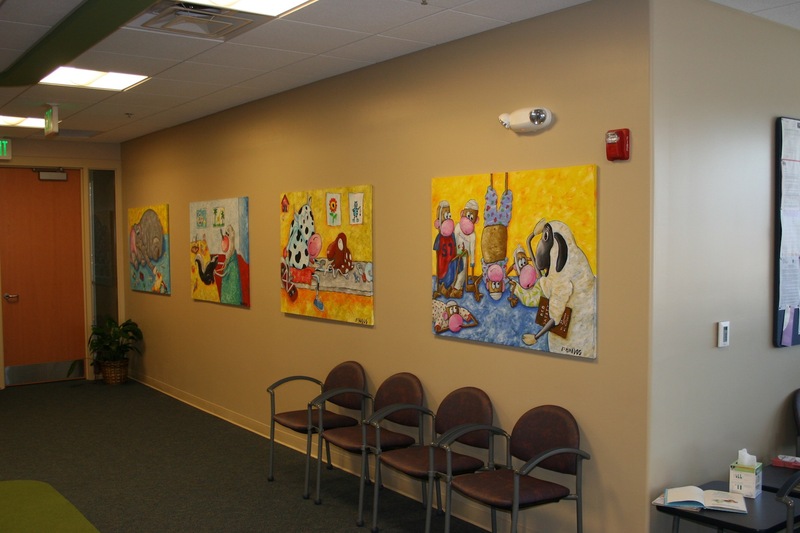 These whimsical pieces of art by Artist Todd Fendos bring an immediate smile to any child entering the pediatricians’ office. All portray animals as both doctor and patient, with a simple twist on the situation. These images show what can be done to brighten up an area that children may not prefer not to visit. Contact Artist Todd Fendos at 414.704.9639 for ideas and pricing.